(ARA) - Every woman should make time for healthy habits such as getting plenty of exercise, eating healthy, and finding a comfortable balance between work and life. In addition, all women should schedule routine health screenings that help detect a variety of diseases in their early stages. When it comes to staying healthy, a proactive approach is best. 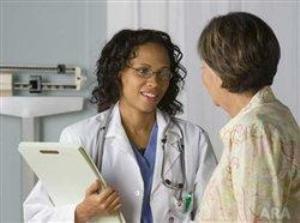 Which important health screenings have you had recently? Do you know that a mammogram can detect a potential breast abnormality several years before physical symptoms develop? The American Cancer Society recommends that women get a mammogram every year beginning at the age of 40. Women who have a high risk for breast cancer (i.e. have personal or family history of breast cancer, dense breast tissue or previous suspicious mammograms) should talk to their physician about the screening program that makes the most sense for them, no matter what their age. Most insurance companies let you pick your mammography provider, so it's important for you to make sure the facility you choose uses the best technology available. New 3D mammograms provide a highly detailed look through multiple layers of breast tissue. More accurate than traditional 2D mammograms, 3D images like the ones provided by the Selenia Dimensions mammography system, manufactured by Hologic, Inc., give clinicians a new level of clarity to help them detect early, subtle signs of cancer. Getting your blood pressure and cholesterol screened are two important steps for heart health. A blood pressure screening can determine whether you have hypertension, and lets you begin a treatment program to bring it under control. Starting at age 18, every woman needs to have her blood pressure checked at least once every two years. Screening and addressing high cholesterol concerns reduces your risk of heart disease, the leading cause of death in the United States according to the Centers for Disease Control and Prevention. Women should have their cholesterol checked at least once every five years starting at about age 20. These two screenings can take place during a physical with your doctor or at your annual women's wellness visit. Talk to your physician to determine whether more frequent screenings may be advisable, based on your personal or family health history. Getting a Pap test (also known as a Pap smear) and an HPV (human papilloma virus) test, along with a pelvic exam is an important part of women's reproductive health. These tests help to find pre-cancerous conditions before they can turn into cervical cancer. Current guidelines from the American Cancer Society recommend that women between the ages of 21 and 29 have a pelvic exam and Pap smear every three years. Women between the ages of 30 and 65 should have a pelvic exam, a Pap smear and an HPV test every five years. Alternatively, some doctors may also recommend that women have just a Pap test and pelvic exam every three years. Women over the age of 65 should discuss the need for continued screening with their doctor. Also, women with certain risk factors may want to talk to their doctor about whether more frequent screenings should be done. You may also want to talk to your doctor about the need to be screened for sexually transmitted diseases. Bone loss can increase for women after menopause, making osteoporosis a major health concern. In the past, osteoporosis could only be detected after you broke a bone. Today, bone density screenings are available to help monitor bone health and reduce the risk of osteoporosis. The National Osteoporosis Foundation recommends bone mineral density testing for postmenopausal women and men aged 50 through 70, or when there is a risk factor, such as having a slender frame, family history or a low trauma fractured bone. During a typical bone density test, a special X-ray machine measures the amount of bone minerals, like calcium, located in a bone sample such as in the forearm, hip or spine. Although your doctor may recommend an earlier screening, most women should receive a colonoscopy screening exam at the age of 50. This test helps to find colon and rectal cancer as early as possible, giving you a better chance for a successful treatment. Many women are apprehensive about this screening, but asking questions and having your physician explain the process thoroughly will help you feel prepared. Remember, if you are low-risk and nothing is found on your initial screening, colonoscopies are typically performed only once every 10 years. Living a long healthy life is what any woman wants for herself and her family. By getting these important screenings done on a regular basis, you'll help ensure a future of many healthy tomorrows.